Theresa May has said that there are 3 Brexit options : the Government’s deal , No deal and no Brexit. 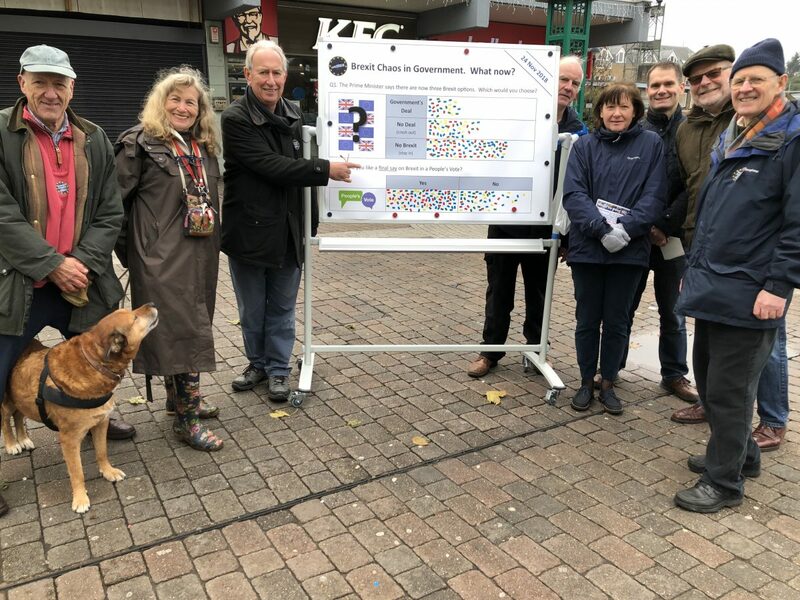 On a very grey and cold day (24 Nov 2018) SSTIE set out to check what the people of Swanley thought about these 3 options. Swanley voted Leave by 70% in 2016 and so is an ideal place to check if attitudes are changing among leave voters. By a significant margin the people of Swanley reject both of the deals on offer from the Government with more than half of them calling for No Brexit. 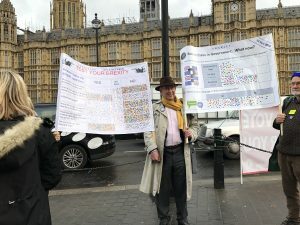 This is the third time that SSTIE has surveyed attitudes to Brexit in Swanley over a period of 5 months and this latest poll confirms that a final say on the Brexit deal should be given to the people. 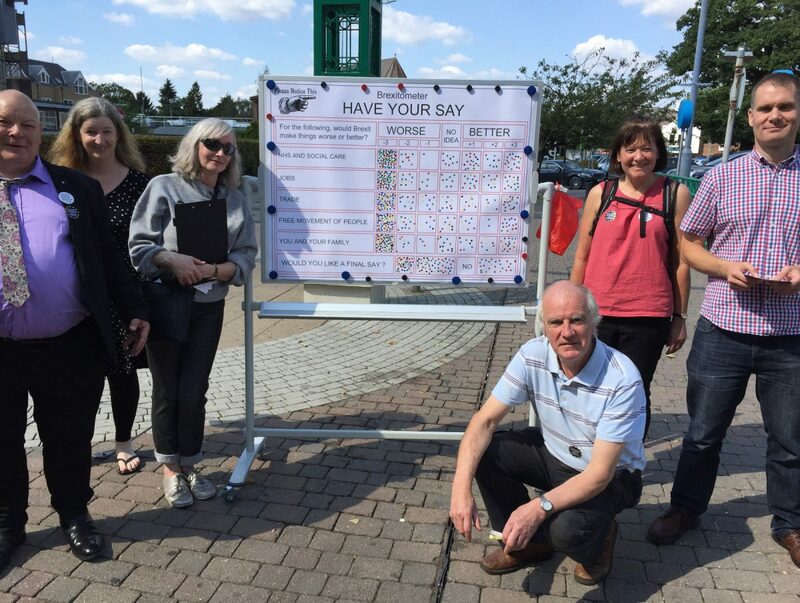 In Swanley 60% say YES they would like a final say. 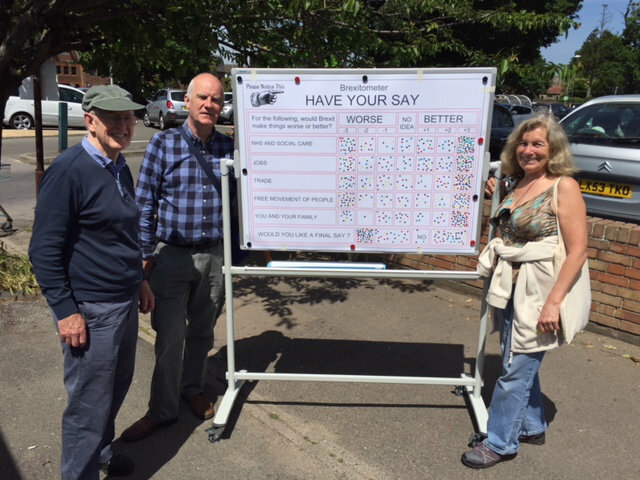 120 Swanley people took part in the SSTIE Brexitometer survey at Swanley Market on the 6th June. 60% would like a final say. 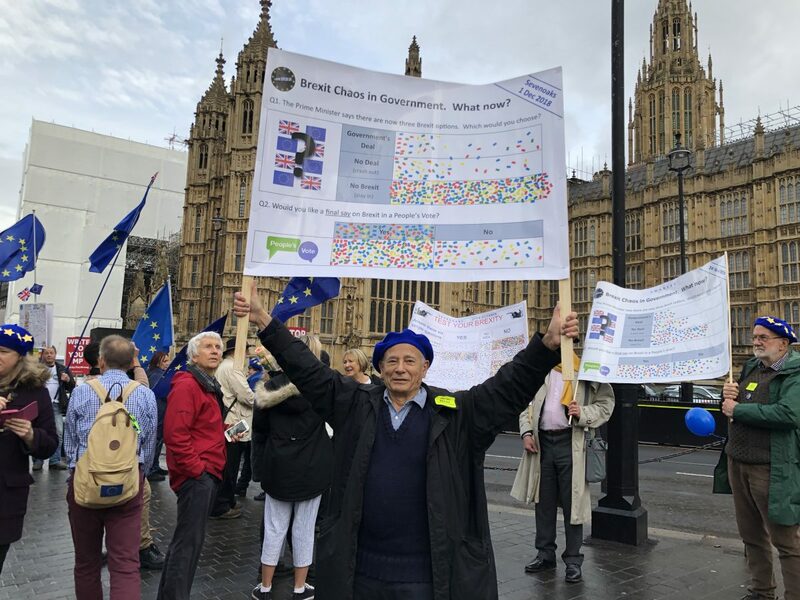 The first conclusion is in line with the fact that 70% voted Leave in the referendum in Swanley but the second is at variance with this and makes one wonder whether some doubt is entering into the heads of some leave voters.